Snowden: I'd go to prison to return to U.S. In September, Snowden officially joined Twitter. He is following just one account back: the NSA. 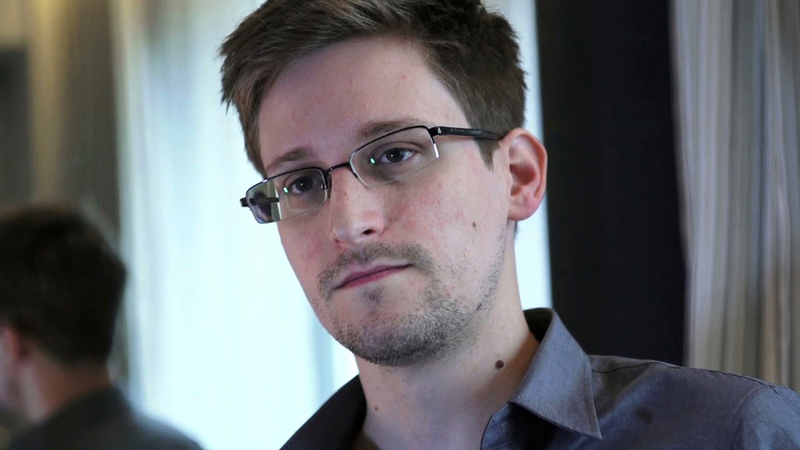 The previous week, Snowden appeared in New York via video to launch a campaign promoting an international treaty to protect privacy. The former National Security Agency systems analyst appeared from Moscow via a video link at a forum in Manhattan about the so-called "Snowden Treaty." Advocates say the treaty would curtail mass surveillance of phone calls and online activity. Snowden called the surveillance "a global problem" that affects everyone. The treaty also would give international protection to people who expose illegal domestic spying. The gathering coincided with the United Nations General Assembly. Organizers say diplomats have shown interest in a draft of the treaty. But the organizers have declined to name what nations they're from.